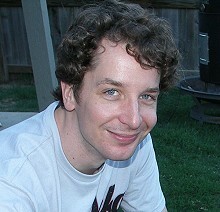 Joshua Danker-Dake is an American writer and editor. He also serves as the Strategy and Tactics Editor for Diplomacy World, the flagship publication of the Diplomacy hobby. Not directly, no. It's great, though, as far as keeping morale and motivation high. When people come up to me and say, "I really liked your book," even when they're just being polite that never gets old. A number of fans have said to me, "The Retail was great. When are you going to write a sequel?" I'd never really thought about a sequel; I had one story to tell with those characters, and I told it. But then Publisher's Weekly liked the book so well they said, "Here's to a sequel," so at the very least now I'm open to the idea, should it ever sufficiently coalesce in my head. Oh, there are so many. C.S. Lewis. Tolkien. Orwell. Watchmen by Alan Moore and Dave Gibbons. Philip Jose Farmer's Riverworld series. T.H. White's The Once and Future King. Folkt ales and mythology of all kinds. Miyazaki';s wonderful film, Nausicaa and the Valley of the Wind. Saint Paul. And a translator, since my ancient Greek is at a toddler level. Coffee. Chap Stick. NASB Bible. My collection of bombastic European power metal. Money. Celebrity. Movie and TV deals. Pop Vinyls of my characters. Heavy metal songs written about my fantasy and sci-fi works. Improving in the craft. Attempting to tell a bigger, more complex story than I've ever tried before, and then actually doing a halfway decent job of pulling it off. Writing something and then coming back to it and being able to honestly say, "Hey, this is actually pretty good."